Excellent Euphorbia hybrid selected for deeply hued purple foliage that it pairs with early spring panicles of large chartreuse yellow flowers. 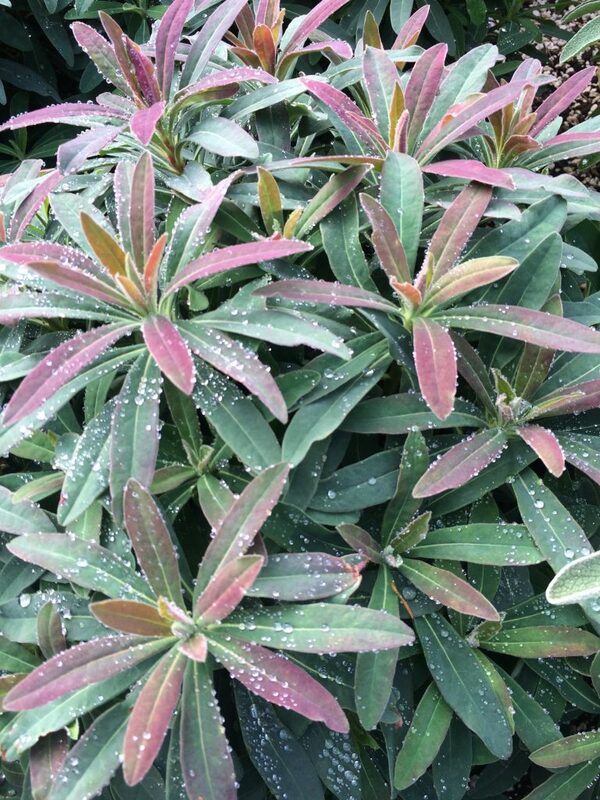 Semi-shrubby evergreen perennial for RICH soil that drains quickly and light summer irrigation. The foliage goes through several hues before settling to deep green (purple to mustard to green). To 3′ tall and half as wide. Completely sterile hybrid that will not reseed or become a pest. Long season of bloom and interest. Appreciates the good conditions.